Golf-Tango-Tango … is anybody out there? A surprised air traffic controller on a remote island receives a transatlantic call for help from a lost plane. As the night and events unfold, it is clear that their new-found friendship will not last through the night. Their conversation is one the air traffic controller won’t ever forget. Written, directed and produced by Bernardo Nascimento. Principal cast: Francesco Tavares and Clive Russell. – To learn more about the film visit northatlanticshortfilm.com. 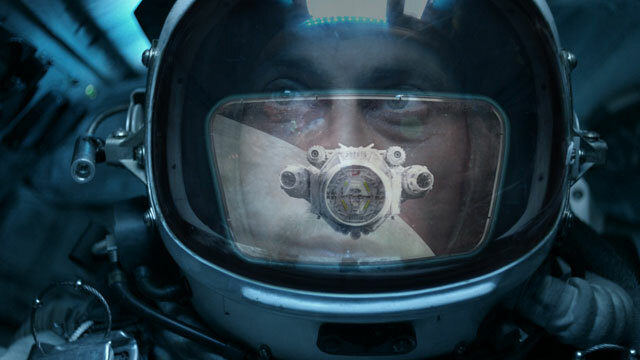 Undocked from the mother ship, cosmonaut Yuri Lennon begins his harrowing journey through space. His journey takes him out to the far reaches of space to investigate mysterious transmissions emanating from Alpha 46. He is confronted with an extraordinary paradox, which may lead to the end of the world as we know it. An amazing movie done in one shot capturing the claustrophobic feeling, the extreme isolation and danger of spaceflight. Written and directed by Anthony Vouardoux. Principal cast: Marc Hosemann.